As Ford celebrates 100 years of continuous production at its Rouge assembly plant in Detroit, Ford CEO Jim Hackett is leveraging partnerships to help the American carmaker survive to the next one hundred. With the industry moving towards electrified drivetrains and self-driving technology, Hackett says they’re deepening their partnerships with Germany’s Volkswagen and India’s Mahindra in order to redeploy more resources to the development of future technology. 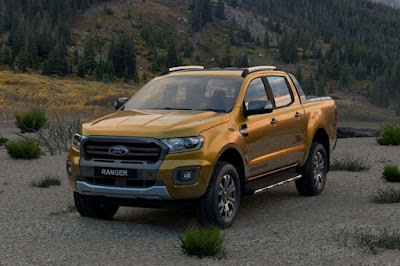 In a report published by Reuters via Automotive News, Ford is collaborating with Volkswagen to develop commercial vehicles, possibly including the Transit and Ranger, to help the Blue Oval cut losses in Europe and South America. The collaboration may even extend beyond a product and technology alliance as Ford is also studying sharing production in those markets. Meanwhile, Ford’s platform collaboration with Mahindra is going well. The first product from this co-developed platform may launch as early as 2020. Ford has previously announced that they are discontinuing passenger car sales in the US market with the exception of the Mustang. In Europe, they’ll likely follow the same trend with the Mondeo, S-Max, C-Max, and Galaxy MPV expected to be phased out when they reach the end of their product lifecycles. Ford’s increased collaboration with carmakers is expected to reduce the number of vehicles it builds and, ultimately shrink engineering and purchasing costs. It should save the company some USD 11 billion (~ P 594 billion)—in the next two to three years, money which they can use to develop electric and self-driving vehicles. In fact, the Rouge plant is gearing up for the production of a hybrid version of the F-150—something that Ford calls, “its next act.” The Rouge plant will produce these transformational vehicles using the latest technologies in robotics, 3D printing, and virtual reality says Ford. Ford is imploding. They're more focused on selling cars rather than innovating it.